Last week, international K-pop sensation Sandara Park (Dara, for short) was in town for the launch of Moonshot’s new products: the Microfit Cushion and the Moonflash Cushion. We sat down with the brand’s recently appointed ambassador to talk beauty must-haves, skincare secrets, and Instagram filters. What’s the best beauty secret you’ve ever learnt? I found out that I can use the Moonflash Cushion not only as a highlighter but also as a make-up primer before using make-up. What’s one make-up product you cannot live without? 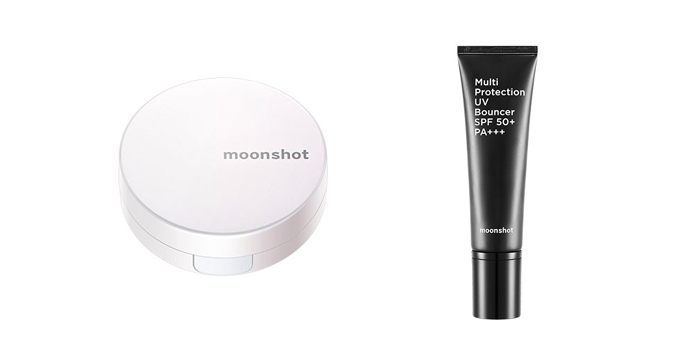 I’m using Moonshot’s UV bouncer everyday before applying my make up. Its like a sun block and at a same time, a make up primer – it’ll make you look even prettier. How do you maintain your perfect skin? Drink a lot of water and sleep a lot – that is really important. And positive energy! What’s your favourite Instagram filter? I love being a tourist – I love trying out new things, new food and new places. Name the place(s) in Singapore that you would love to see. I want to go to Gardens By The Bay, Clarke Quay and The Merlion Statue. Where in the world would you want to visit the most? I want to meet my high school crush because I miss myself; the young innocent Dara. It’s a Thursday afternoon in July at the headquarters of Golden ABC in Quezon City and, for most of its employees, it was business as usual. But on the fifth floor, at Studio 1155 and the Gallery, a big secret: K-Pop superstar Sandara Park was shooting her first campaign for Penshoppe. She posed effortlessly in front of the camera, rocking a hat and vest from an upcoming collection as 2NE1 songs blasted from speakers. “She’s a very good mover, she has a beautiful face, she’s very charming. I think that she takes direction beautifully. She’s very energetic,” said photographer Cliff Watts, who also shot Cara Delevingne and Sean O’Pry for Penshoppe. Cliff flew in from New York for Sandara’s shoot. After booking three supermodels in a row—Cara, Sean, Kendall Jenner—Penshoppe may surprise fans with its choice of new endorser. But it makes sense, given Penshoppe’s expansion to other Asian countries. The brand already has stores in Saudi Arabia, Bahrain, United Arab Emirates, Indonesia and Cambodia, and it will be opening two stores in Vietnam in October. “We wanted to get someone who would complete our Asian Superstars pool. 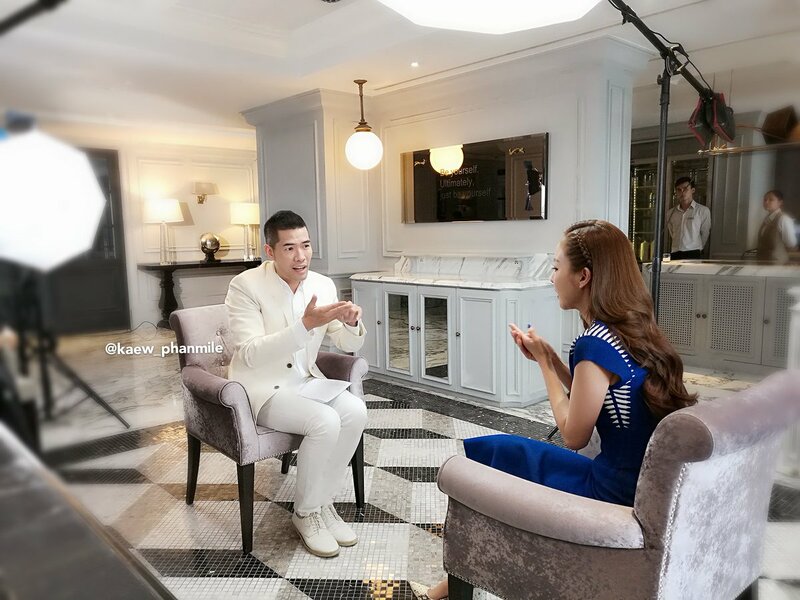 To join Mario Maurer, we picked Dara. She’s well loved by Filipinos but at the same time is very global. Her sense of style and fashion pretty much sealed the deal for us. As we go more regional, tapping the Asean countries, we feel that Dara is the ideal brand ambassador to help us reinforce our international vision,” said Jeff Bascon, Penshoppe’s brand director. As she sat in front of us after the shoot, wearing a cat beanie and a blue Penshoppe polo with another adorable cat peeking from its pocket, it’s easy to forget that this is Dara from the massively popular K-Pop group 2NE1, the ubiquitous presence in Korean fashion magazines, the actress who just finished two Korean web dramas (“Dr. Mo Clinic” and “We Broke Up”) and who is about to star in her first Korean film. It’s easy to forget that this is a girl whose every move is chronicled by K-Pop websites and blogs devoted to her, whose adoring fans create YouTube videos as a tribute to her and her cuteness. It’s easy to forget all that when she begins waxing poetic about Jollibee, which she requested to have for lunch that day. “Always the same, spaghetti with chicken pero spicy chicken and dapat may Jolly Hotdog. That’s my favorite,” she said. Dara may be a Korean superstar, but she will always be a Filipino darling. What did you think of the clothes? So you’re bringing some back to Korea with you? Did you have favorite pieces from the shoot? How does it feel to be back in the Philippines again? When you’re in Korea, what do you miss the most about the Philippines? What do you normally eat there? Sinigang. And sisig. Lechon. Yeah, I order a lot. You ate Jollibee today. Is Jollibee something you miss also? Do you ever watch your old videos from your time in the Philippines? When was the last time you watched your Star Circle Quest audition? Are you still in touch with your Filipino friends? Yes. Of course, yeah. Super hi-tech na ngayon, so text. Are you going to see them while you’re here? Yes, actually na-meet ko na si Joross nung first day pa lang. And then I’m going to meet more friends. What’s the best thing about being a K-Pop star? Siguro being loved by all the fans all around the world and being able to travel to different places. Sobrang gandang experience. Yeah, we’re all doing individual activities for now. When will people get to see you guys as a group again? Do you still get to hang out with them? What was it like working on those web dramas in Korea? Is it different from acting in the Philippines? Is it true you’re doing the Korean adaptation of “Begin Again”? Have you started working on it? Not yet, but I’m going to start shooting very soon. How do you juggle your love for music and acting? Would you be willing to do a movie in the Philippines again? If you were going to do a movie here, who would you want to work with? Everyone says you haven’t changed. How do you stay grounded despite the fame? I don’t know, it’s just natural. I’m just the same Sandara and I don’t want to grow old and I don’t want to forget the memories… I don’t know, I don’t try to do anything, same lang, it’s normal. Is fashion something you really enjoy? Describe your personal style. Skinny jeans na roll-up jeans and wearing sneakers or flats that are unique. Is there anything you wouldn’t wear? What’s the craziest thing a fan has done to get your attention? Yes. I know them. Close sila sa akin. Do you have a message for your Filipino fans? What else can fans expect from you? The upcoming movie. And I don’t know yet pero (but) I really want to work hard.